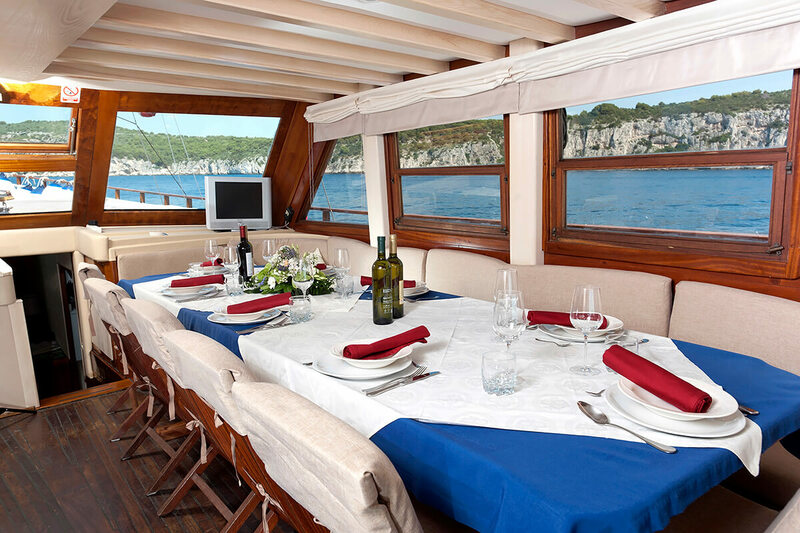 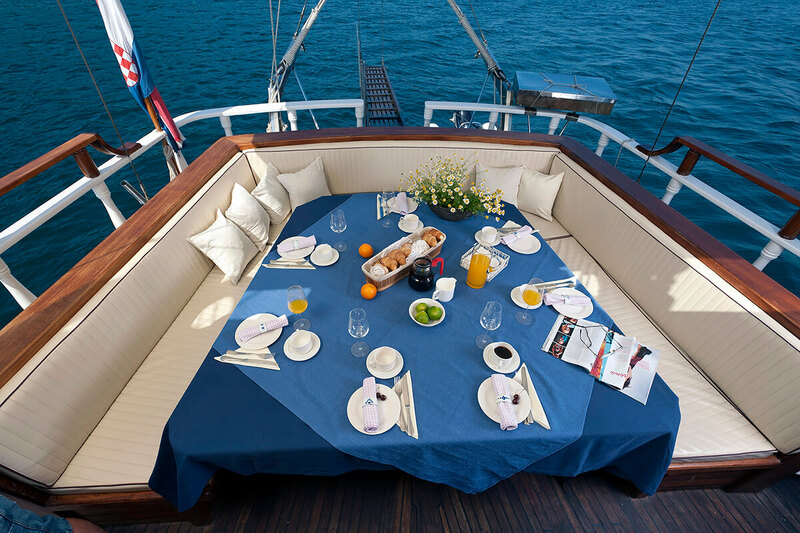 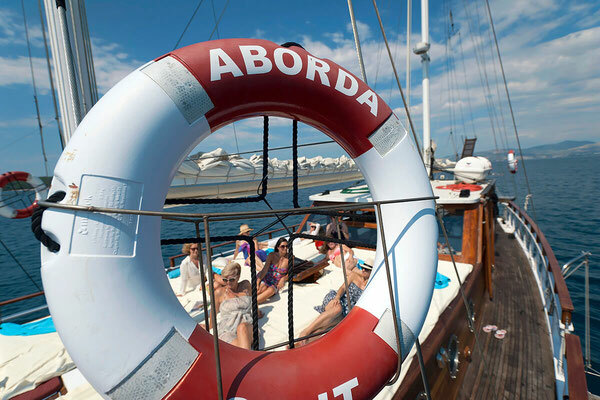 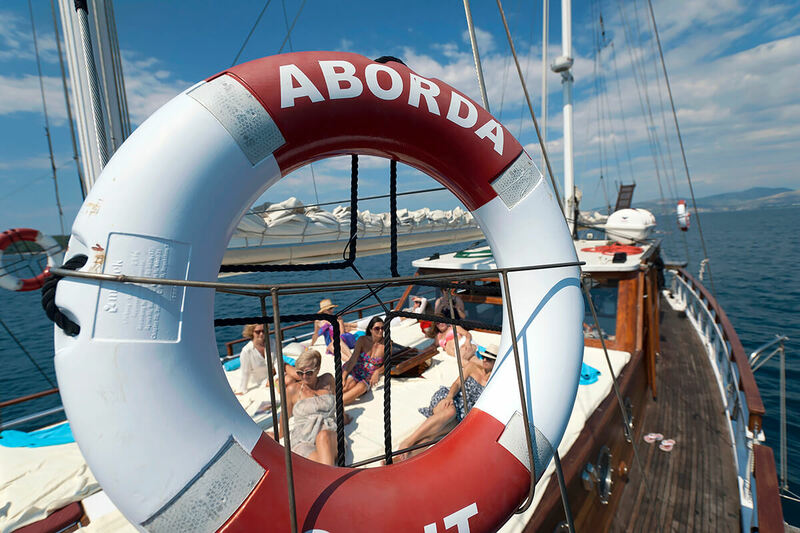 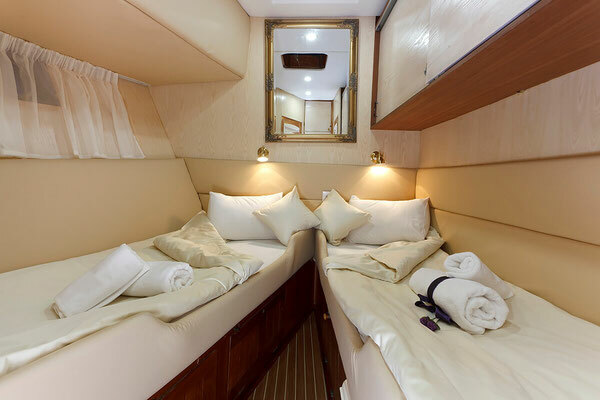 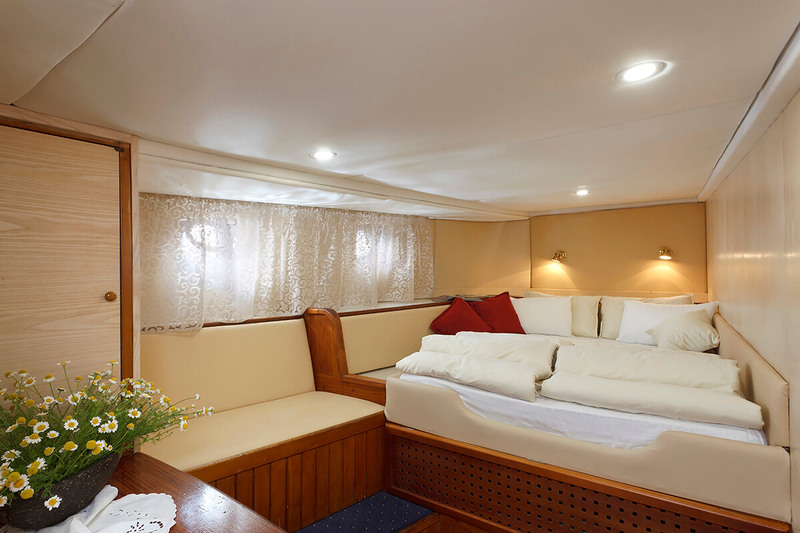 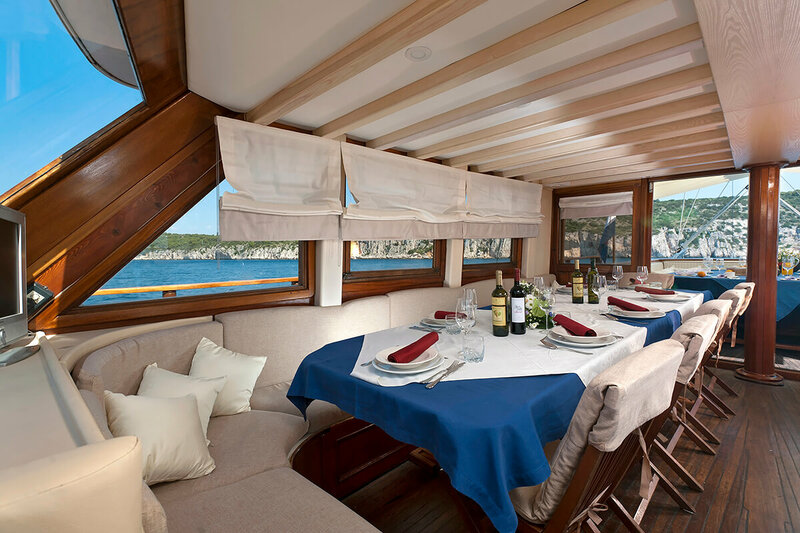 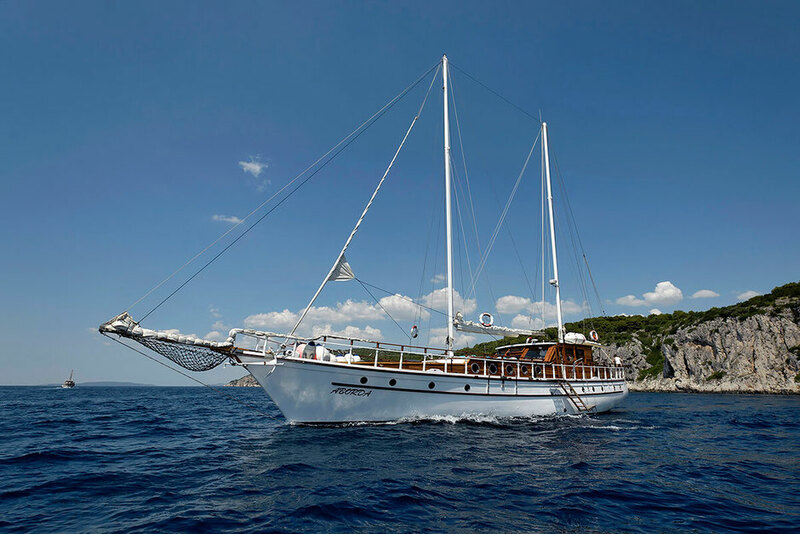 Spacious Gulet Aborda can accommodate up to 14 people. Built from quality mahogany, it has air conditioned lounge where you can enjoy in soft sofa that shapes the letter U around the table and therefore gives you the maximum comfort. If you do not want to sunbathe on the deck equipped with pillows and covered table by tent in the salon you always have a television and a bar for entertainment. 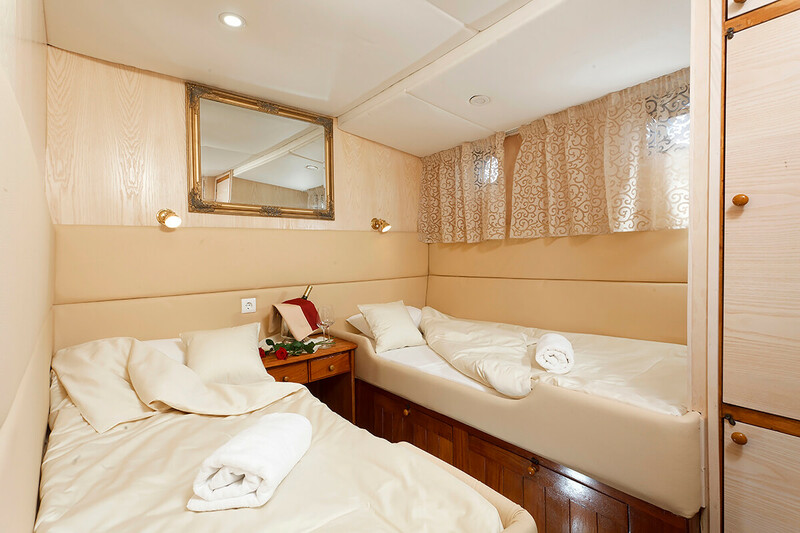 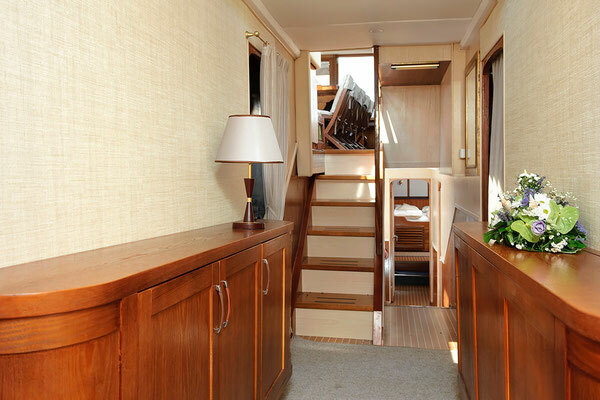 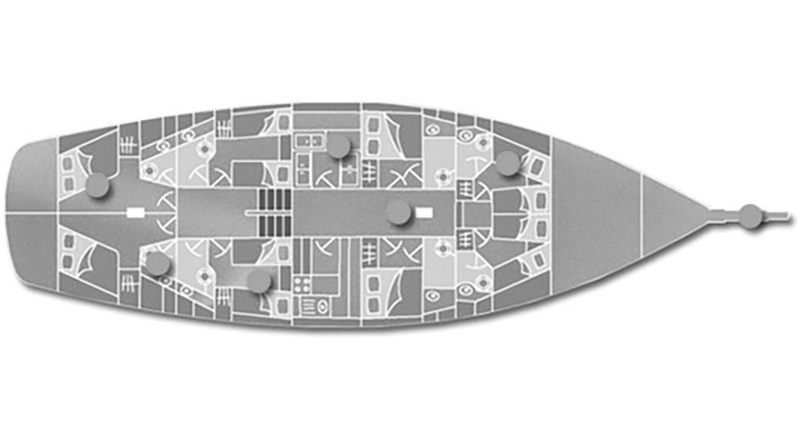 Each of the seven cabins, three with twin beds and four with a double bed, has a bathroom. 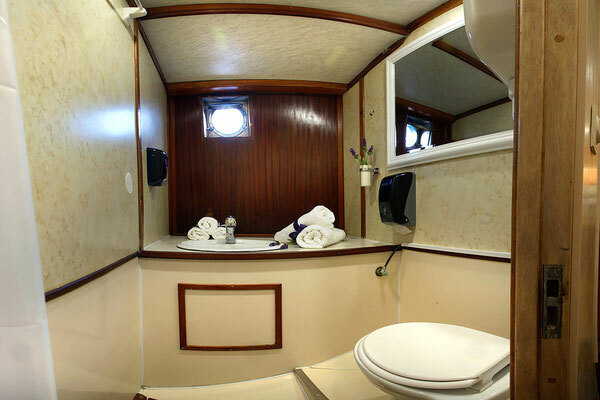 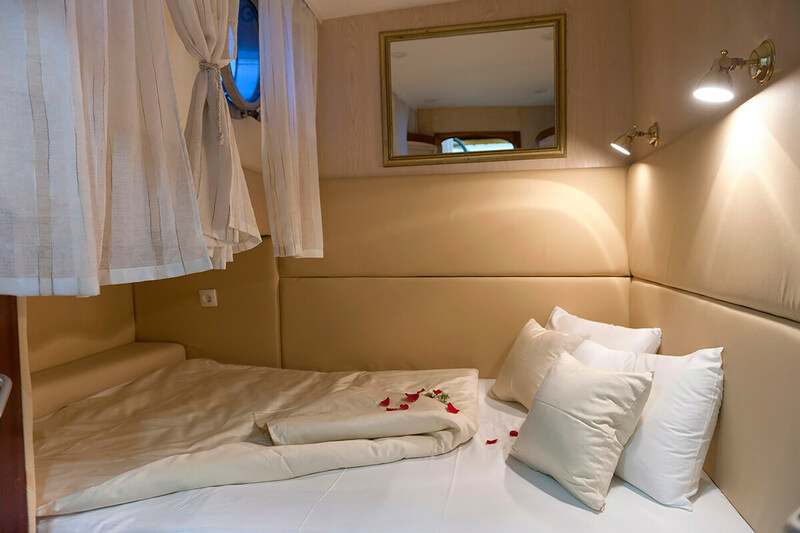 The elegance that radiates the whole gulet is reflected in the cabins, because it will relax you with beautiful mirrors and white romantic curtains in the cabins. 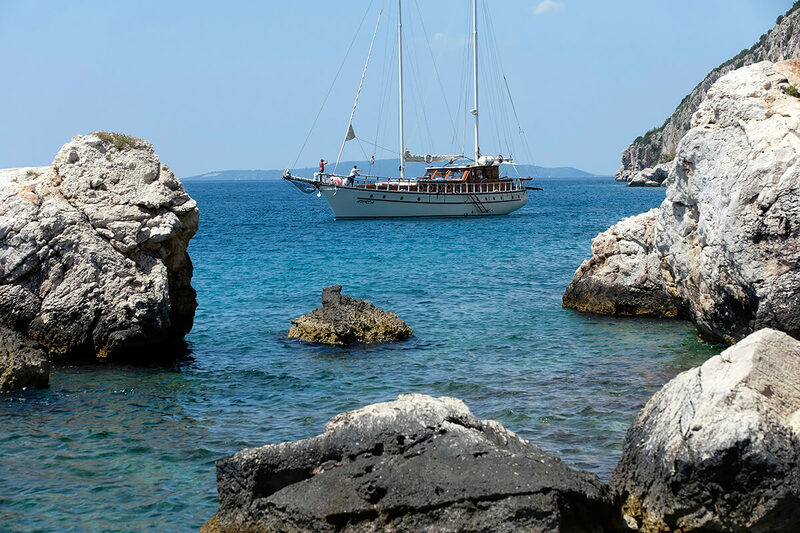 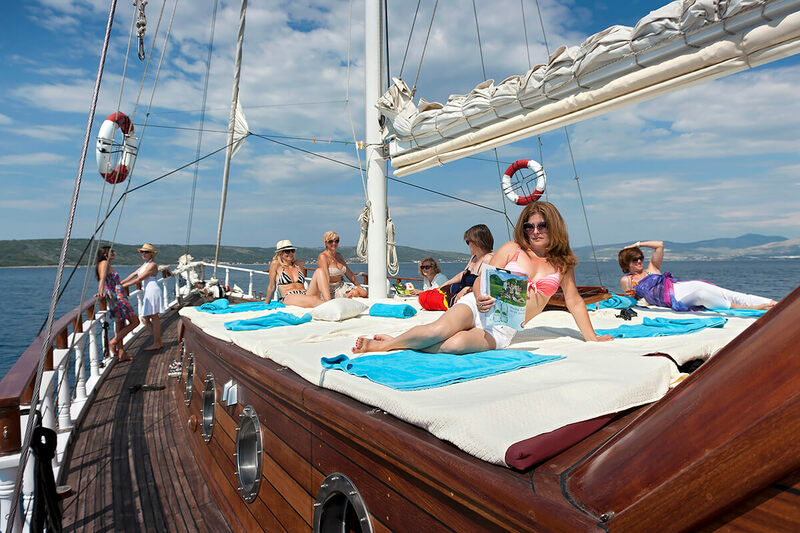 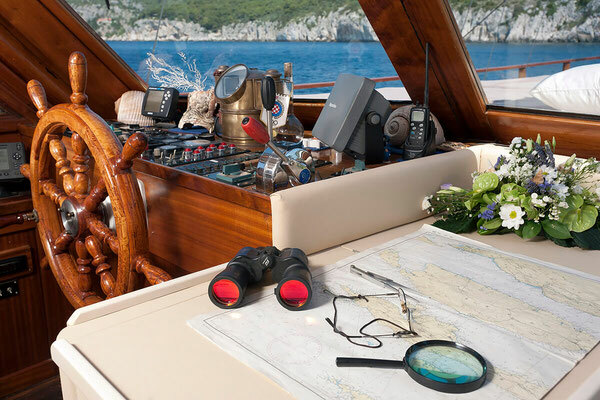 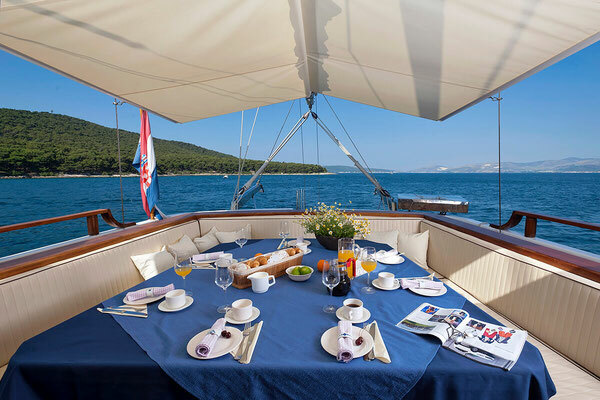 With professional and pleasant crew that will guide you through the Adriatic and show you all the charms of holidays in Croatia, you only need a good mood, an open mind and - click on book now!